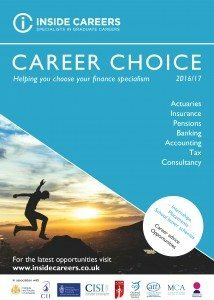 Career Choice is a new 128 page magazine aimed at providing ‘undecided’ students with an overview of potential career options within the finance and consulting sectors. The magazine will enable students to compare different professional areas within the industry and narrow down their career choice to a specific profession. The target audience will be school leavers, first and second years and particular focus will be given to all aspects of internships, work experience, placements, insights and school leaver schemes. Designed to direct students to our website, where they will find more in-depth career information on the various professions as well as the latest vacancies. We believe that Career Choice will both complement and support our existing, and well established, range of specialist career guides. Career Choice will be lighter in tone than our existing specialist range but will still offer high quality, impartial careers advice, including that from professional bodies and industry experts. 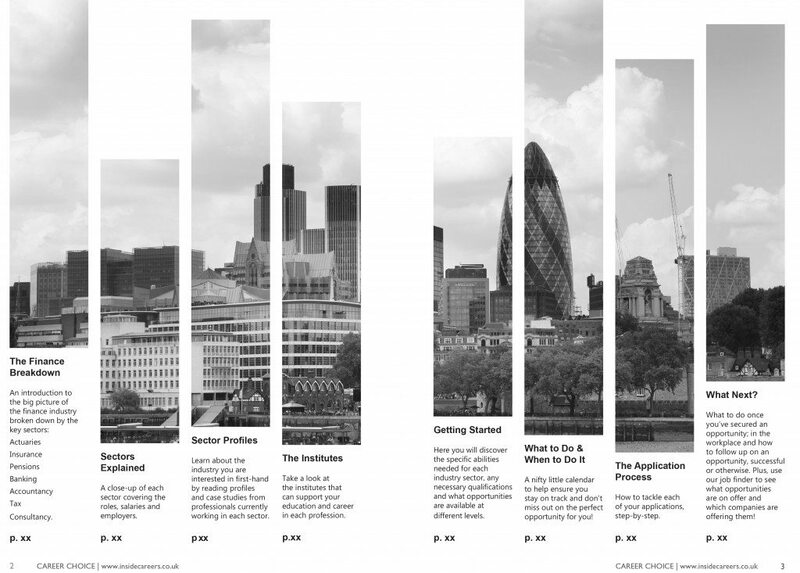 Greater focus on visual impact with colourful images, tables and infographics. Digital versions of the magazine will also be available.